In 2013, Japanese artist Ken Kitano spent one year working in the United States with the support of the National Agency for Cultural Affairs in Japan. 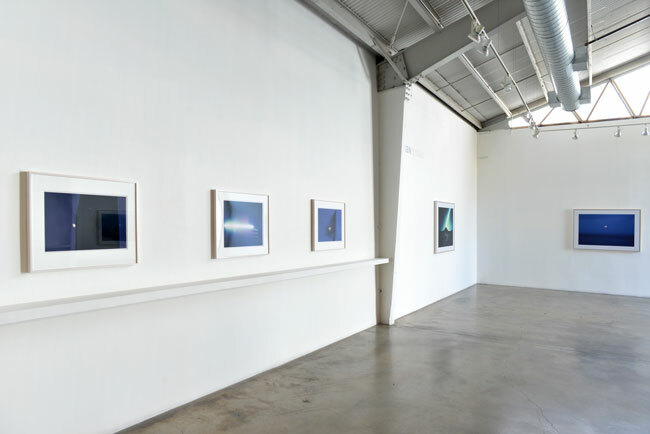 Inspired by the rich history and practice of West Coast landscape photography, the artist settled in Los Angeles and created a new body of photographs illustrating relationships between nature, human life and planetary movements. 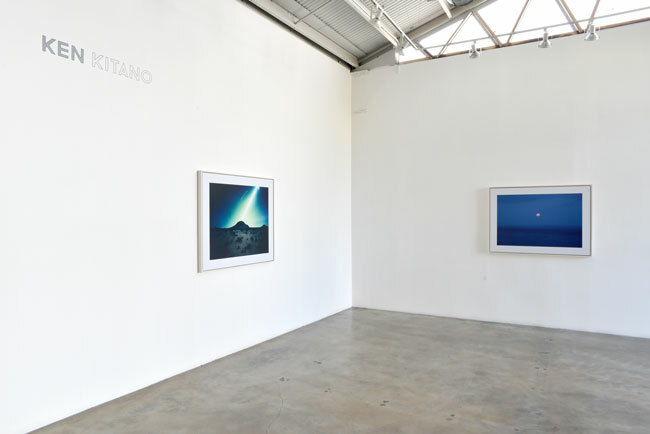 Kitano’s photographs center largely on the complimentary motions of the sun and the moon as they travel across the skies and are called Day Light and Watching the Moon, respectively. Like his earlier series One Day, Kitano’s Day Light images are produced on 4 x 5 negative film using lengthy exposure times that often last a full day, from dawn until dusk. The act of photographing for hours at a stretch becomes a process of meditation and reflection for the artist as he witnesses Earth’s star travel along its daily path from his fixed position at the camera tripod. For Watching the Moon the artist aligns his camera lens with the moon’s trajectory with the aid of an equatorial telescope mount, allowing him to capture the motion of the full moon and the changes in the darkened landscape around him.